So, once again this year, the blogosphere is all aflutter with this whole “Word Of The Year” thing. This is where you choose a word which symbolizes your goals and hopes for the coming year. Sort of an alternative to a resolution.. a yearly motto. Now this is not to be confused with the Oxford Dictonary’s Word of the Year, which was recently selected at the end of 2014. Every year the dictionary people choose a word or phrase that has gained popularity and become more common in public usage over the past 12 months. They aren't the same words of the year. You will understand why you don’t want to mix these two up when I tell you the Oxford folks chose “Vape” as their 2014 word of the year. As much as I’m sure “quitting smoking” makes quite a few resolution lists every year.. I can’t imagine the type of person who would choose “Vape” as their annual mantra. Oh yeah.. MY word of the year. Right. Originally I wasn’t sure if I was going to do a post on it, because I haven’t done it in the past, but I asked about it on my Facebook page and a few people said “why the hell not?” and so I thought I’d listen to them. Yes.. REAL is my word of the year. "Now, why the heck did I choose that word?" you may ask. "It is such a dull word. Isn’t being ‘real’ sorta a default? Nobody needs to be motivated to go out and become more real... Right?" Being a blogger and being real at the same time is a lot harder than you would think. Throw in some hearts for good measure: Check. Is that really who KIM SIX is? I mean I like it.. it is pretty.. but that isn’t how I actually would LIVE my mantra. I am not that fussy. 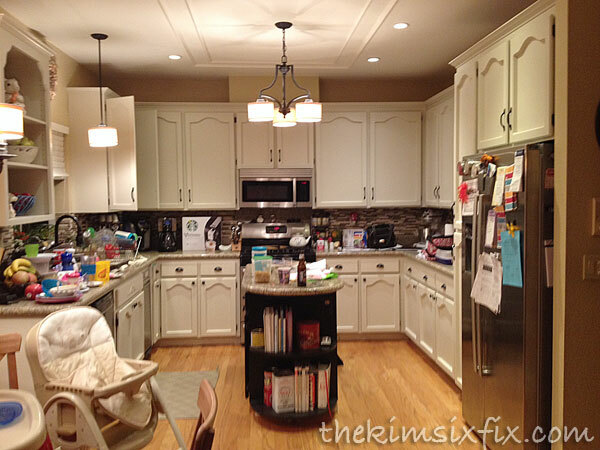 A discussion recently came up in a Blogger's group I'm in about how your house ACTUALLY looks behind the scenes. 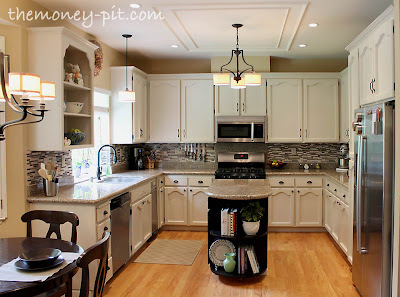 On blogs what you see are all these gorgeous home tours and Pinterest-worthy photos. Perfectly manicured tables and mantels and bedrooms where your pillows are chopped and the throw is ‘haphazardly’ thrown across the bed.. but if you could see what was real you would know it took that person 20 minutes to spread that throw exactly how you they wanted it. 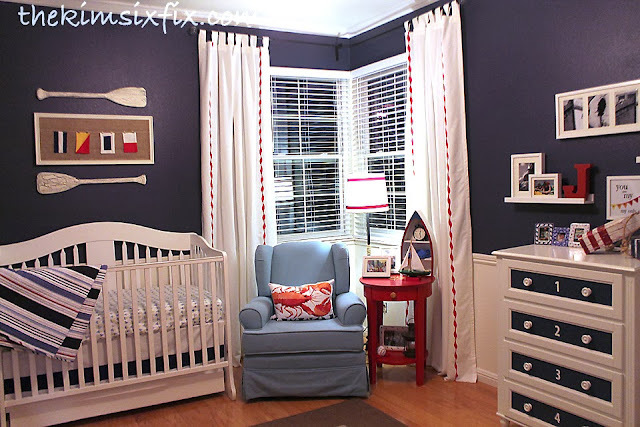 You could never tell.. but do you see that striped blanket over the crib rail in this photo from my nursery reveal? I took more than half an hour folding and refolding that thing and taking and retaking photos of it. LITERALLY. It is held onto the bed with binder clips so it won’t slide off. I had tried all sorts of other configurations and I just couldn’t come to a decision.. I did shoot an alternative version for a different post, but that blanket was seriously the bane of my existence during that room reveal. It is only a freaking BLANKET! It doesn't even matter. But this is the world most bloggers live in. It isn’t REAL.. heck, half the time is is barely temporarily attainable. 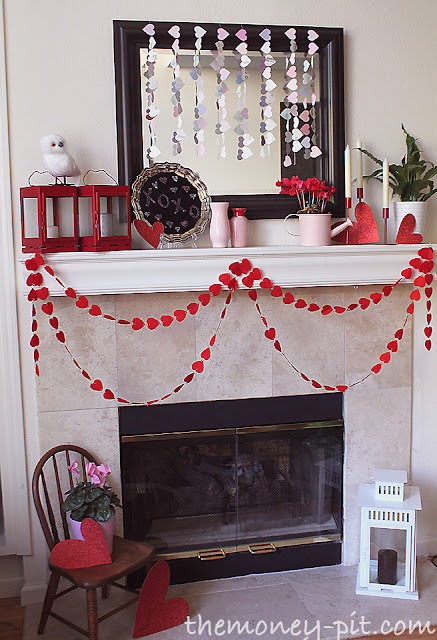 See all that stuff on the hearth? I have three kids under 9.. do you honestly think that stuff stays there after I shoot the photos? NO WAY. Within 20 minutes of finishing my photo shoot.. there was fake fruit and leaves ALL OVER my living room. Never to return to the basket from whence it came. Not exactly the Pinterest-worthy dream land I wish I actually lived in. But probably a lot more like most people’s kitchens than the beauty shot. That, my friends, is my reality. Everything else is just my highlight reel. On a blog you can pick or choose exactly what you want people to see. You can shoot 100 photos and select the best 4 to post. You can write in a casual way that makes it sound like, “Yeah.. I just quick threw this post together in 10 minutes.. here are some quick photos I snapped." But that isn’t really what happens at all. Most bloggers are very careful about what they show you, because there is a lot of pressure to always be perfect. As DIY and Home Decor bloggers we are taught that most people don’t want reality since they already live there. Give them perfection and make it sound causal and easy. That is how you are supposed inspire people. But I don’t think that is fair. I think that just sets up readers for frustration and disappointment. Shouldn’t the point of a blog be to connect with REAL people? If you want to always see magazine worthy vignettes and "101 easy ways to make your life perfect” you can buy an issue of Better Homes and Gardens, or go hang with Martha Stewart. They have been making people feel like underachieving failures since long before the days of blogs. Wasn’t half the reason people starting blogging so that they could connect with other like-minded folks? So they could feel like someone really understood where they were coming from? I don’t have the time, energy or patience for perfection. I only have the time for the best I can do right now. There are already a ton of bloggers with beautifull homes giving you gorgeous home tours with houses full of white carpets and white sofas and perfectly alive houseplants. And if you can relate to them, that is awesome. I love that someone out there can do that.. can live that way (If they really are living that way.) And I still enjoy looking at their homes as pure eye candy, but just isn’t practical for me and my reality. And you know what? That doesn’t mean I’m a sucky blogger or a terrible person, and most importantly, it doesn’t mean that I can’t inspire people. In 2015 I want to connect more with people who are more LIKE ME. Who live in a world more like mine. And the only way I can do that is by sharing more of the real me. I think we are losing a lot of that in the blogging world. I hope it is a niche that I can fill. I hope you will stay with me on the journey. I am going to keep doing my regular posts, the way I always have, but I am also going to incorporate a lot more behind the scenes, everyday reality of what it takes to get stuff done. The Kim Six Fix: It's the Real Thing. Hey.. that's kinda catchy. Coca Cola was definitely on to something..